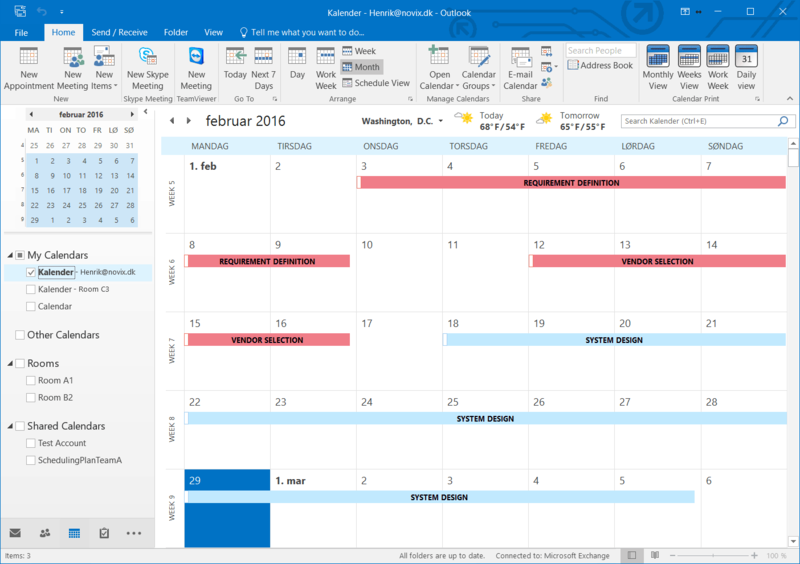 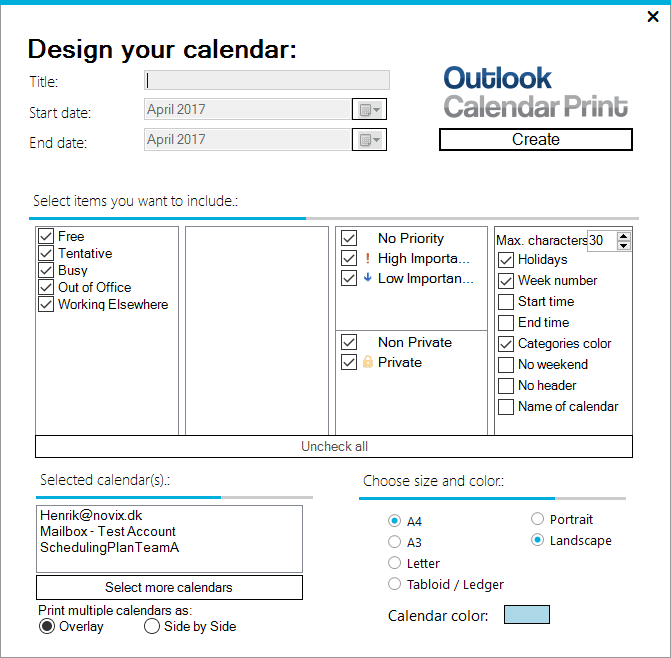 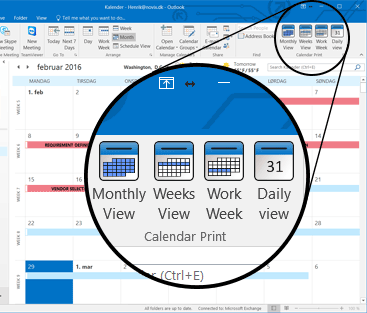 Printable customized calendar directly from outlook. 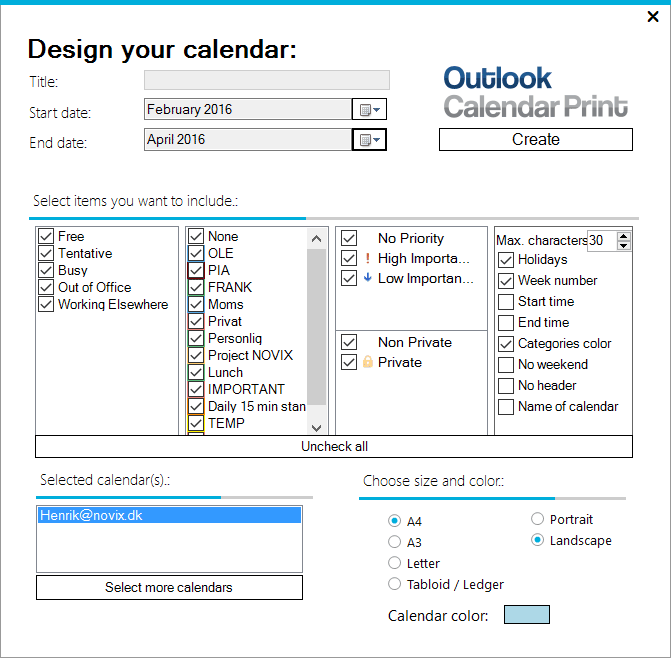 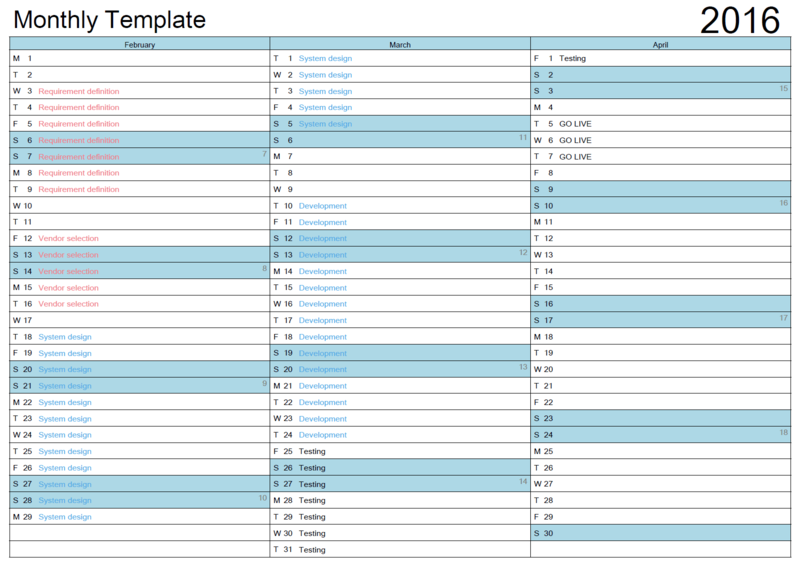 - Print multiple calendars as overlay or side by side. 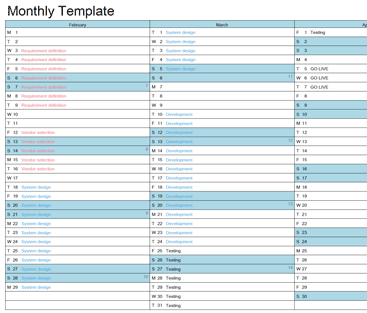 - Select timeframe and categories to print. 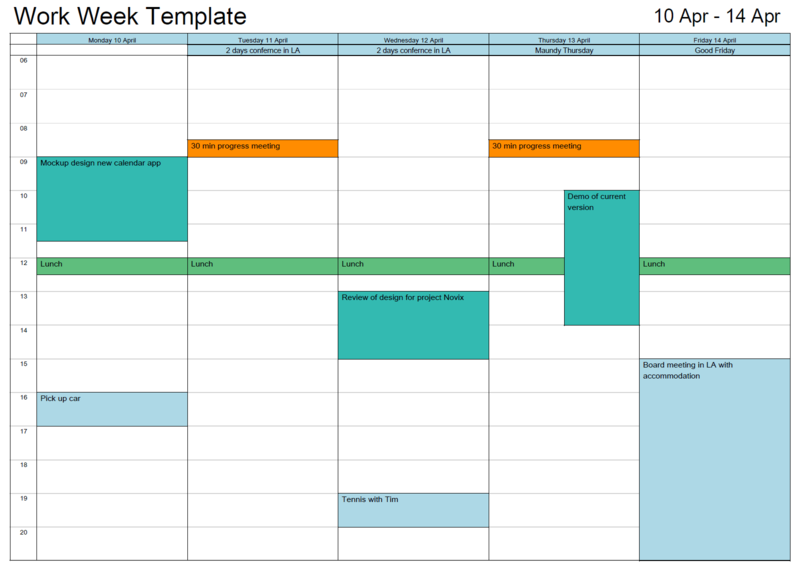 - Year, Week or Daily calendar. 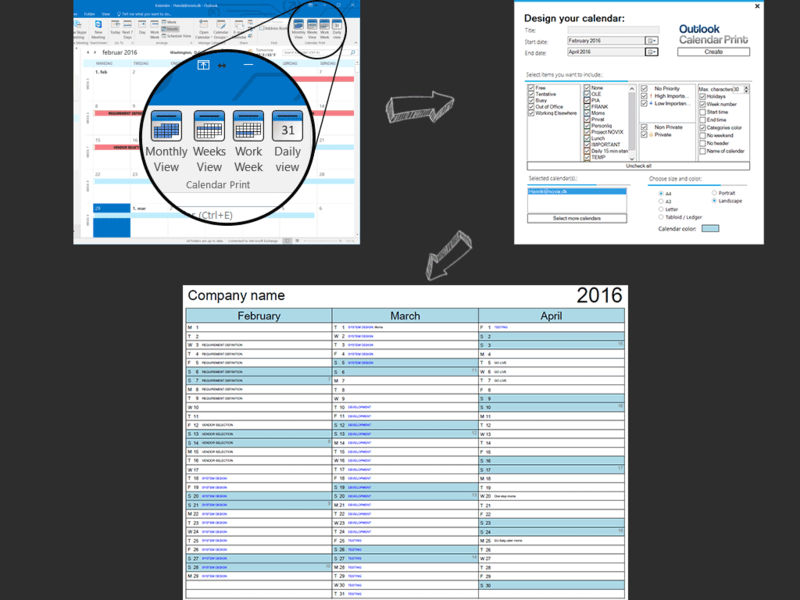 - Yearly calendar with company name. 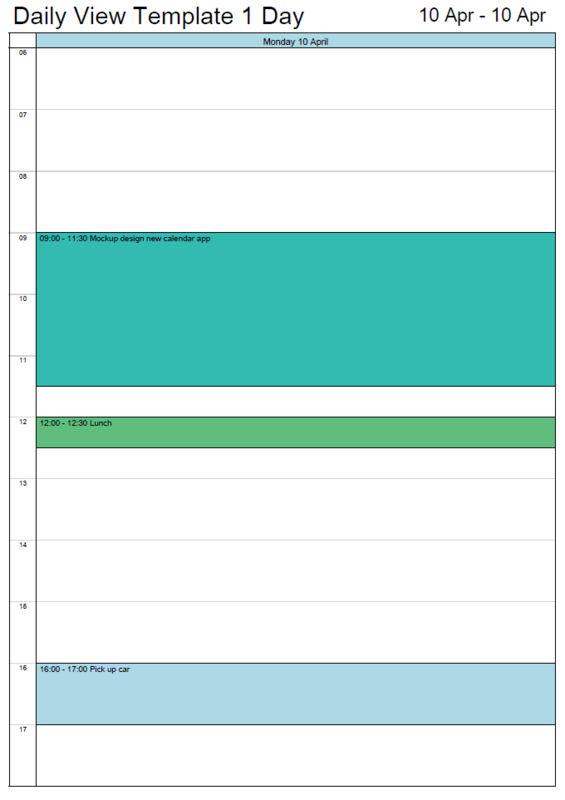 - Events & scheduling plans. 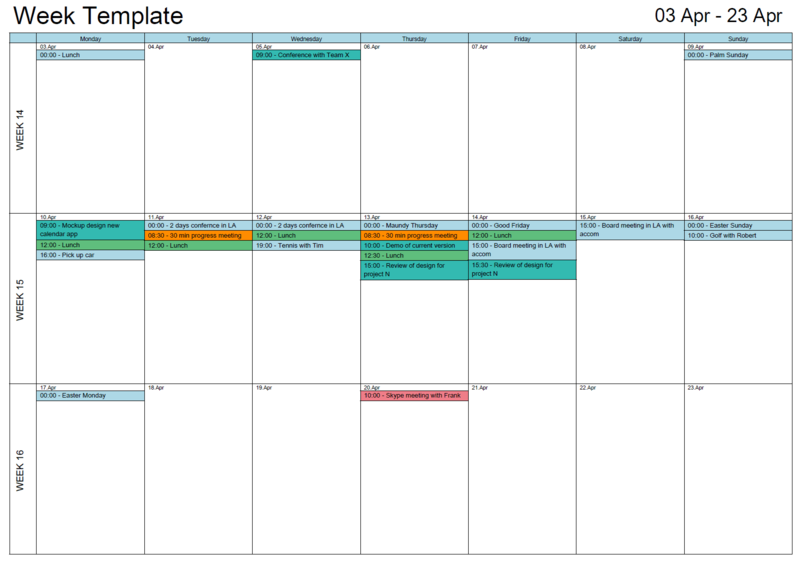 - Multiple meeting rooms in one page. 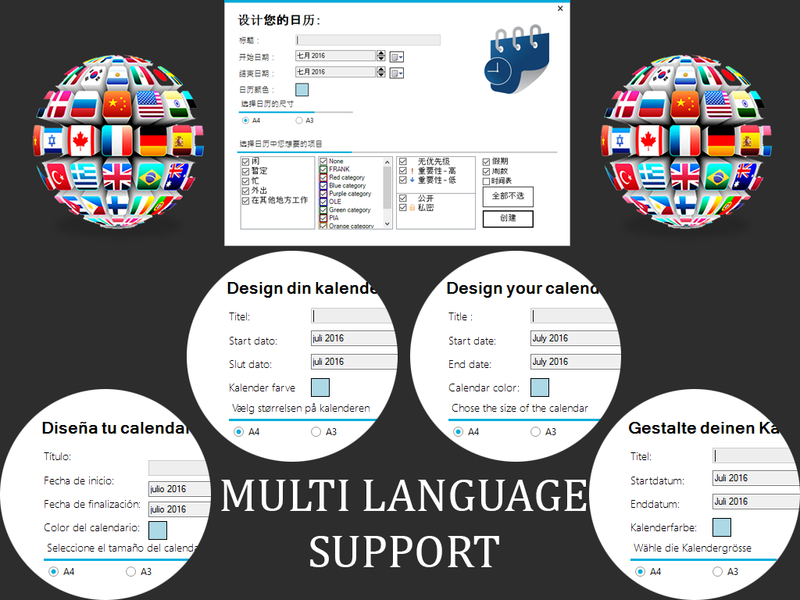 Look at the pictures and video for presentation of the product.